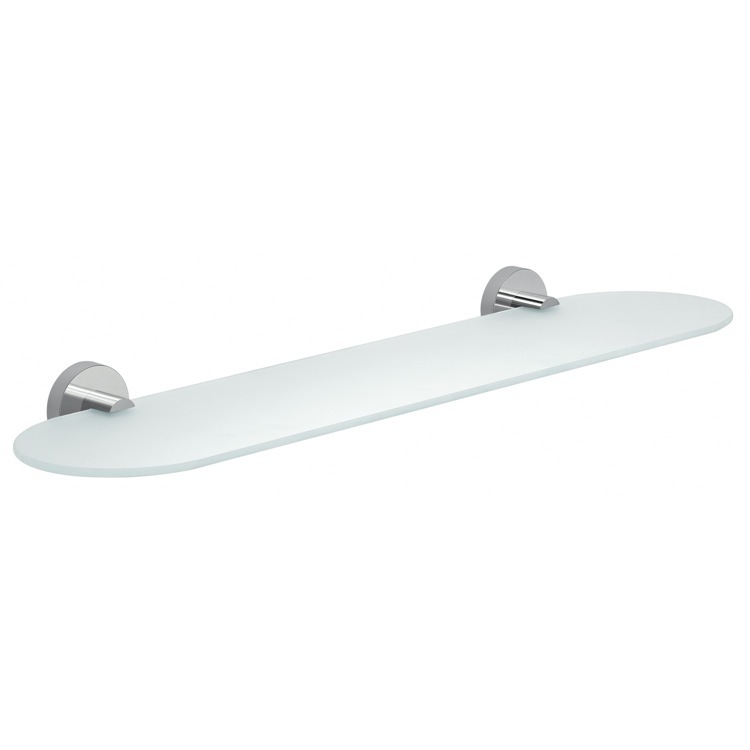 Frosted glass shelf for the bathroom can support up to 15.4 lbs (7 kg). Wall mounts are made of polished stainless steel an cromall. Designed by Gedy in Italy.